The only thing was waiting time - we were on the 1st floor and often could not see any staff to order., etc. Good food, great service. I would definitely like to dine here again. Coisy place ,friendly serviceminded staff. Not much to say. Just perfect. If you like seafood, this is the place to go. We had the monkfish, and it was beautiful. And we could see other guests having the other dishes, they looked just as good. The “crew “ at the restaurant will take very good care of you. Make sure to make a reservation. It is always filled. Great traditional restaurant with an old school approach to service. Waiters were all very attentive without being overbearing. Excellent seafood. We both had the mussels with chips. We had an early dinner, 7pm booking, and the place was packed by half past. Excellent food and friendly service! Service was indeed very hectic, They were in a hurry to get us out again from the moment we entered. Plates were slapped on the table. I had invited friends there for dinner, and though the food was alright I regretted not going somewhere else for a more special and relaxed evening. SIMPLY EXCELLENT IN EVERE REGARD! Excellent experience, will definitely return. Sensational Food, Simple, pure, fresh, perfekt !!!!! 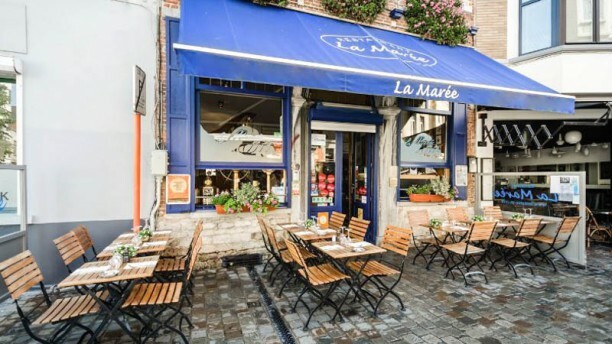 Best authentic sole fish in Belgium!